Believe it or not, the annual holiday lights display is one of the first places people began to venture into smart home technology. Today, when we think of our Connected Life, we’re usually talking about Internet-or Bluetooth-connected technology. 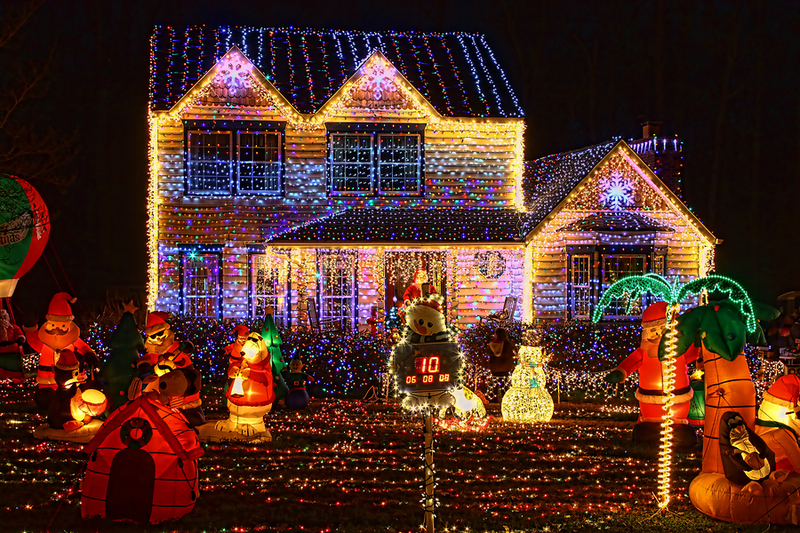 But the original meaning of the smart home included anything that could be automated….which brings us to holiday light displays! What if you want to do more than just string lights around your door frame and front bushes? There are varieties of connected lighting options to show off your holiday spirit, indoors and out. Lumenplay and iTwinkle offer several easy-to-use but high-tech products that are plug-and-play for your yard, your house, and your tree, including smartphone controls. Perhaps you’d even like to set your lights display to music, with thousands of lights blinking in time to a seasonal jam. This is usually a do-it-yourself project, albeit a pretty involved one. This great step-by-step tutorial offers options for the truly handy and for those of us who’d just like to put in a little sweat equity for a lot of bragging rights on the block. Too much? Get connected to the holiday spirit in your own way. We love a big holiday to-do as much as the next person, but you may be thinking (like we are) that the holidays are already upon us. If all this sounds a little overwhelming for this year, just make a note to check out post-holiday light sales and think about the display you’ll build next year. In the meantime, load up the kids, some hot cocoa and holiday tunes for a drive to enjoy the other holiday lights in your area with free Lights Display directory apps (free for Android: and iOS). Or to get in the holiday spirit with no assembly required, try Holiday Lights HD Wallpaper for your Android phone (free for Android) or Xmas Lights Everywhere (99¢, iOS) to add lights to all your photos, right from the comforts of your sofa. How ever you do it, we hope your holidays are merry … and brightly lit!